Dreaming is not bad, giving up on your dreams is. For a middle-class individual to aspire of a business particularly when they come from a background who had generations employed somewhere or the other, is nothing less than a virtual fantasy. It gradually becomes challenging, and the dream tends to end even before it is ready to take off. I had not seen myself doing business, I always fancied of working for large enterprises during those times with the likes of BHEL, Larsen & Toubro, IBM and so on. I got a summer internship at Larsen & Toubro in 2011. I told myself a thing; I need to start up on my own and build a business. I only had a love for Physics books till then, and in a week, unexpectedly I found myself reading and watching documentaries about Google, Apple and so on. I knew that it was too big for a leap, but I had to start somewhere. With 5000 INR (then less than 100$) on loan from my mother and alternatively arranging 1000 INR from my friends who I partnered with, I started my first social entrepreneurship project. Since 2011 post five years of roller coaster ride with entrepreneurship and consulting MNC&apos;s and battling out with the typical tantrums from family (even though they are supportive as hell). I knew business in India is not a mission where I can merely be laid back. The initial years when I was excited about making money and tried to expand, I felt the business is less about intellect and more about being mechanically right with circumstances, but today after having numerous failed start-ups, losing money, dwindling and rising and dealing the ever-bankrupt period of my life. I am running a consulting firm for entrepreneurs and partnering them for internet technologies, marketing and boosting brand value. From hiring the first intern to firing the first employee, the experience is sure to help promising entrepreneurs. For those who are not willing to give up early on their dreams. For the very few reasons, not having money or failing to have sustenance. This book is the collection of my experiences, and pieces of consulting that I typically prefer giving to entrepreneurs. It is for people who want to chase their dreams but fail to do so for some or the other reason. This book is about building emotional intelligence and making most of it to build a dream company. This book is not about having a course with a set of solutions, but it assists you to be the finest manipulator to realize dreams and make a path of your own. Good luck and hang in there! For now, just survive (Like one of my friend once said), and you have accomplished what you need to. 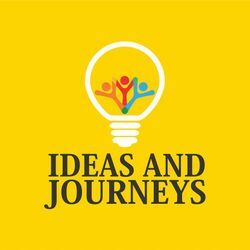 The journey that started as a Social Project that failed after initial success, Akshay realized creating a brand and business is not as easy it seems. With more than five years of experience and getting exposure of working with more than 70 Businesses and brands, Akshay writes about the challenges of a Middle-Class Entrepreneur. Akshay, who has completed a Bachelors of Engineering in Electrical, always liked engineering until his mind had a 360-degree flip when he began the business. The first generation businessman from the family and with almost no network in the industry, Akshay loves helping people on building the business. Akshay already has international papers published in engineering subjects and also a poetry book to his name. Middle-Class Entrepreneur is his first book in the self-help section and is a guide for people who are chasing their dreams. Akshay loves football and writing poetry when and wherever possible, a boy who certainly loves living in the past and future.